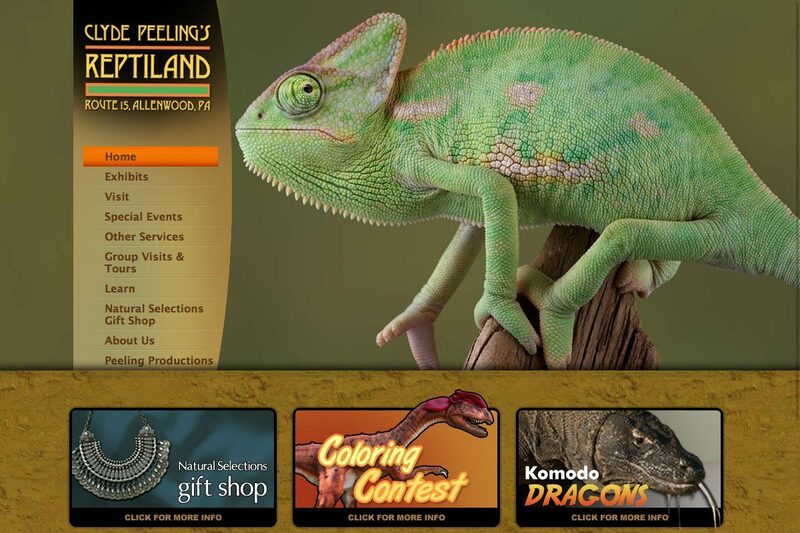 Clyde Peeling’s Reptiland is a specialized zoo that introduces visitors to the less-loved members of the animal kingdom in a safe, entertaining format. Explore the world of mambas, cobras, vipers, pythons and other rare and beautiful snakes. Giant alligators, gentle tortoises, curious lizards and colorful frogs also await discovery on this zoological adventure. An exciting multi-media show reveals the close-up world of reptiles on the big screen and live lecture demonstrations offer guests the chance to touch harmless specimens and speak with friendly experts.